Galati’s first location at Anna Maria opened in 1970. Galati Yacht Sales, a once storm ravaged Florida marina, is now a No. 1 dealership with locations in the USA, Mexico and Costa Rica. The company’s humble beginnings start with Jay Dee Jackson’s grandfather, Michael Galati Sr. in 1970. He moved his family of seven from New York down to Anna Maria Island, Florida. Galati now has ten locations in three countries and carries some of the world’s finest yachts, including Maritimo, Viking, Prestige, Princess and Cruisers Yachts. 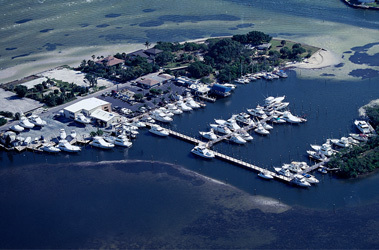 They offer new, pre-owned and brokerage yacht sales with the ability to accept trade-ins on new or pre-owned purchases. 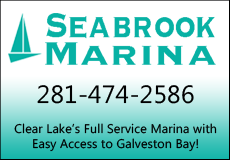 Their Texas location is just off 45 south on Offatt’s Bayou in Galveston. 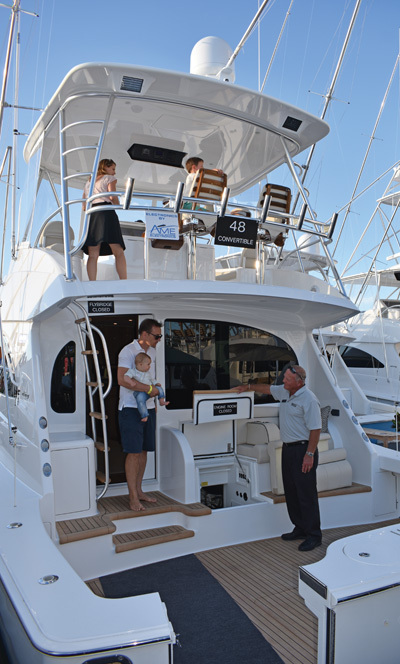 Galati Yacht Sales differentiates itself from the competition with a business philosophy that this family-owned company has lived by since inception. The third generation now leads the company and the principle remains the same; a passion and love for the industry in everything they do. This work ethic has not gone unnoticed. Galati has been recognized in the boating industry in more ways than one. 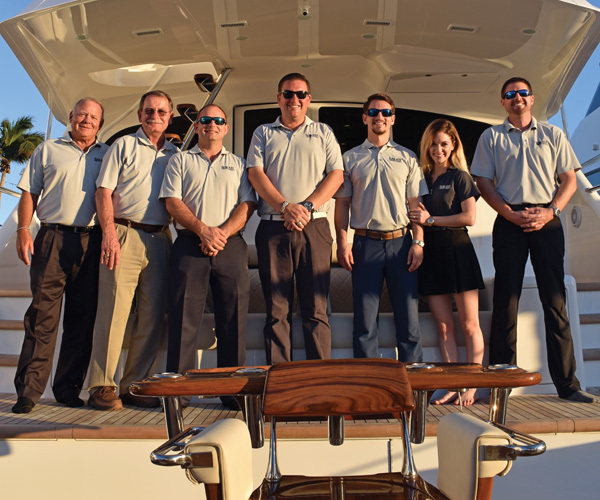 They recently earned No.1 dealer in Boating Industry’s Top 100 Dealers Award. They have won multiple times since 2007 and have now been entered into the Boating Industry Hall of Fame. Galati is there for its customers and can assist for every step of a yacht purchase — an exciting process than can be a little stressful for some. Years of experience and in-house financing makes for a one-stop yacht shop. Whether you are a new boater, or an old salt, Team Galati strives to make your experience one to remember and enjoy for years. The relationship with the Galati family does not end after your new vessel is purchased, that is just the beginning. 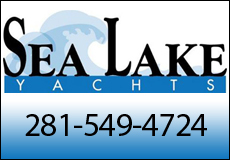 They are always available to customers for anything they need along their boating journey. From hosting boating trips to our endless service technician support, they are happy to put in the work to help you have a more enjoyable experience on the water. For whatever your needs may be, Galati is a name you can trust. “Apart from our family, we have been extremely fortunate to build an incredible team over the years. Our Galveston location staff members and brokers are there to support our customers in every aspect and have led us to only build upon the values that we laid our foundation on,” said Jay Dee Jackson. Jay Dee is the manager of the Galati Yacht Sales Texas location. “My wife, Alyssa and I moved to the area recently from Sarasota, Florida and I am a graduate of The University of Mississippi with a degree in Business Management,” said Jackson. Larry Smith joined Team Galati 13 years ago and boasts 46 years of experience in the marine industry. “It is a pleasure being associated with a company that puts customer service at the top of their priorities!” said Smith. David Hunt is a native of Seabrook and continues his life-long love of the water and a passion for boats. 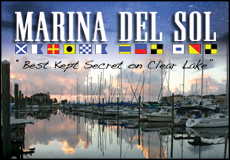 He is a third generation member of Lakewood Yacht Club and a past president of the Gulf Coast Yacht Brokers Association. “I pride myself on my honesty, attention to detail, and desire to always act in my client’s best interest. Our marketing can make sure that your yacht is exposed to buyers throughout the world,” said Hunt. 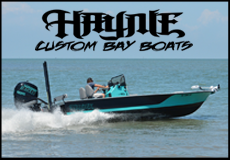 Cory Webster is a native Texan and has spent the past 17 years developing his expertise in the boating business. Over the years, Cory has been fortunate to represent some of the best boating and yachting brands. “Working side by side with the best of the best in manufacturing, dealers and salespeople in this industry gets me excited. Seeing their values, passion and innovation keeps our business going strong!” said Webster. Jordan Butler was born and raised in Galveston. The son of a well-respected captain, he was exposed to both the sportfishing and boating scenes at an early age. “Boating and fishing has always been a huge part of my life. I will always have a lifelong passion for going offshore and being on the water,” said Butler. Randy Bright is a native Texan and has held every position in the competitive marlin fishing world as an owner, captain, angler and cockpit/wire man. “I stay very involved with many of my clients through the Houston Big Game Fishing Club events and several Gulf Coast and international fishing tournaments. I enjoy the friendships that I develop before and after the sale and spend time fishing, boating and traveling with clients particularly to the Bahamas and Costa Rica,” said Bright. 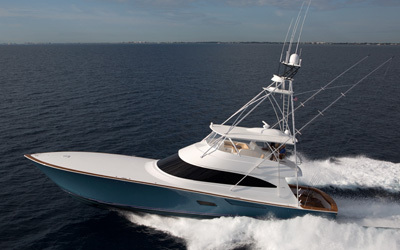 Galati is a certified dealer for Viking Yacht Sales.